It's so fun working with couples who live all over but are getting married in Maine. I was lucky to photograph Emily & Andrew on the Oregon Coast recently. Even though it rained during their session, this was one of my favorite engagement adventures ever! 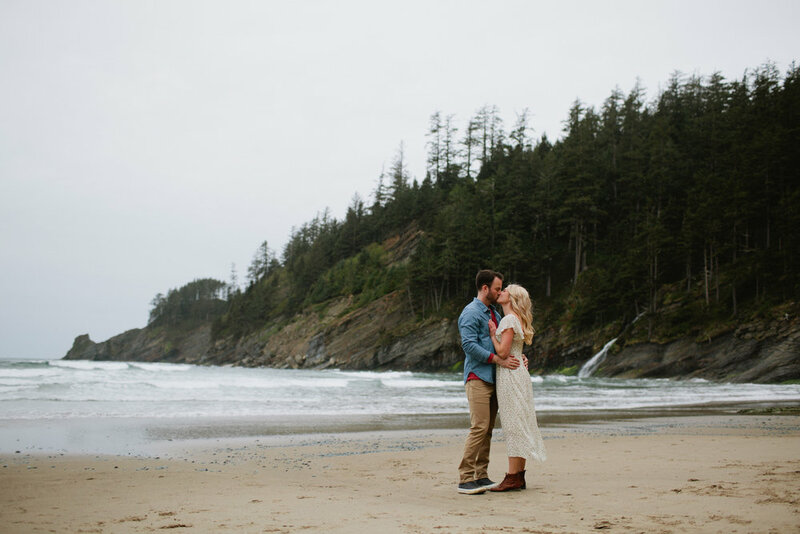 Such a cute couple, and that overcast light was so dreamy!